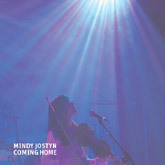 Mindy Jostyn: About "Coming Home"
We're happy to announce that "Coming Home", Mindy's new CD, has been released. Like "in His eyes", Mindy's first devotional CD, "Coming Home" is a collection of non-denominational "folk hymns" intended to bring inspiration and comfort to all who hear it. 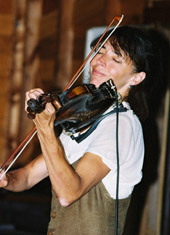 All the songs on "Coming Home" feature Mindy's expressive vocals and her command of an array of instruments including violin, guitar, piano, accordion, and harmonica. The tracks range from gospel standards to adaptations of hymns to originals written by Mindy and her co-lyricist and husband Jacob Brackman. Produced and orchestrated by Peter Link, the CD is flavored with musical influences from around the world and features a host of guest artists. Many of the songs on "Coming Home" set the mood for contemplation while others compel you to move to their rhythm. "God is Love" poignantly pays tribute to the song's simple but powerful title. "Child of God" is a funky call and response treatment of a classic gospel tune and showcases Mindy on harmonica. "My Father's World" is a rare blend of African and Celtic musical images. In "Angel of the Darkest Night", Mindy sings a duet with pop icon Carly Simon. "Peter and John" is an up-tempo, jazz-influenced retelling of the healing of the man at the gate in Jerusalem called "Beautiful." 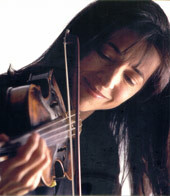 "Touch of the Master's Hand" tells a delightful story that will touch listeners of all ages and features Mindy on violin. And the CD closes with Mindy's gentle rendition of "Amazing Grace." 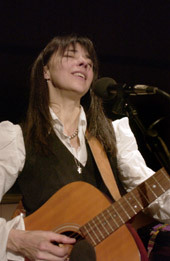 A professional multi-instrumentalist and singer-songwriter, Mindy toured as a "side-man" with the likes of Billy Joel, John Mellencamp, Donald Fagen, Joe Jackson, and Carly Simon and headlined at legendary folk clubs such as Club Passim in Harvard Square and The Bitter End in Manhattan. Throughout her career, she composed and performed devotional songs, both in and out of churches, using her music to integrate the spiritual with the secular. Shortly before "in His eyes" was released, Mindy told an interviewer that it was becoming more and more natural for her to bring spiritual insight to her music and to her communication with her audiences. "We need to be spiritually provoked, stirred, and awakened, over and over again," she said. It's our hope that "Coming Home" will, indeed, fulfill that desire. To listen to clips from "Coming Home", click here. To purchase "Coming Home", click here, or call 1-888-MJOSTYN.